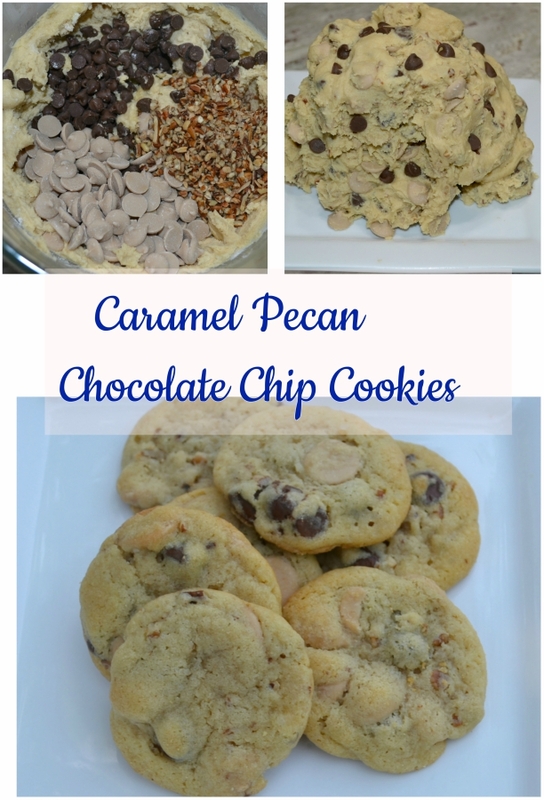 addition of caramel baking chips and pecan pieces. 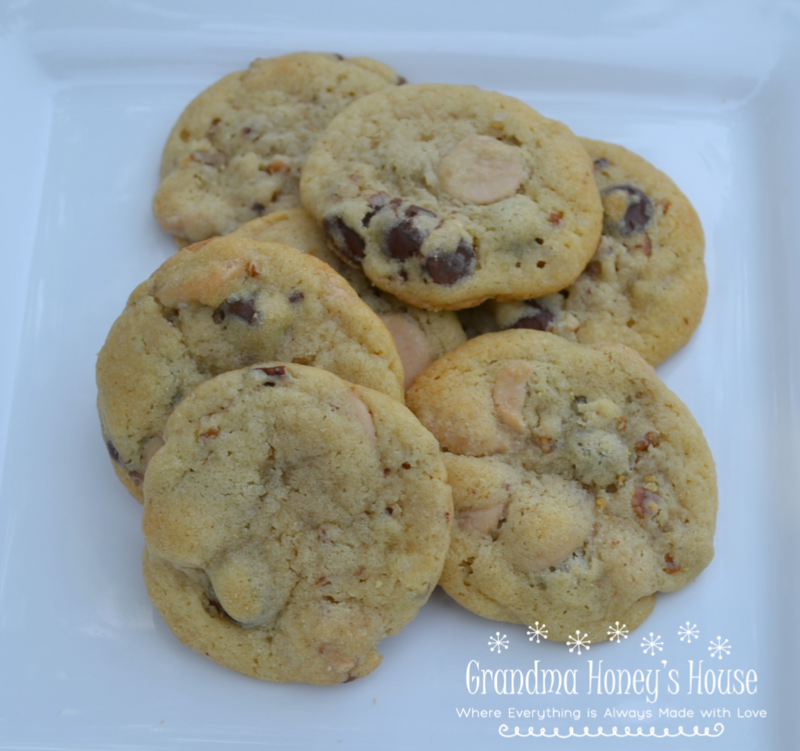 The cookies have a toffee flavor, and they almost melt in your mouth. I saw these caramel baking chips at the store a few weeks ago and had to grab a few bags. They have a wonderful, smooth caramel taste, with no artificial or bitter after- taste. I am trying them in a few different cookie batters and wanted to share my first one today. 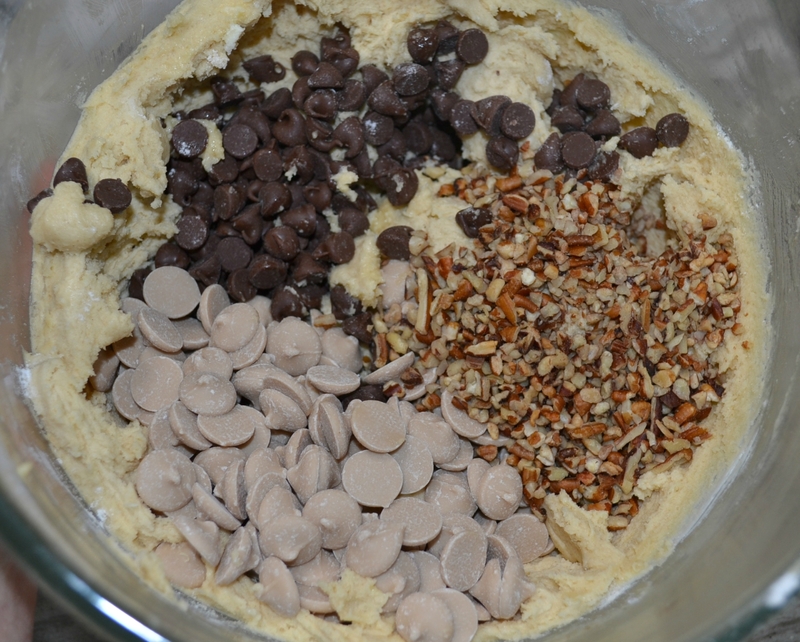 This is the basic chocolate chip recipe, adding the caramel baking chips and pecan pieces. 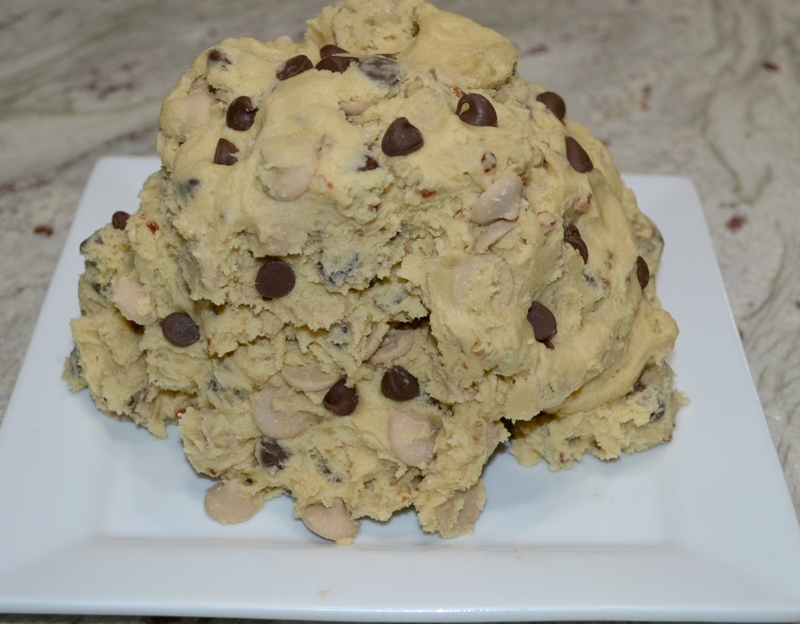 Mountain of cookie dough,,chilling and ready to bake! The flavors blended together so well after baking. Caramel, chocolate and pecan created a toffee like taste. The dough freezes well if you make dough balls ahead of time. I also baked a few of the cookies and tested them by freezing. They were delicious. These cookies are excellent with a cup of tea or a glass of cold milk. I will be adding them to my holiday baking list this year. In a small mixing bowl, combine the flour, soda, and salt: set aside. In a large mixing bowl, using an electric mixer, beat the butter until smooth. Beat in the 2 sugars until well combined. Add the vanilla and eggs, beat until smooth. Gradually beat in the flour mixture, just until well combined. 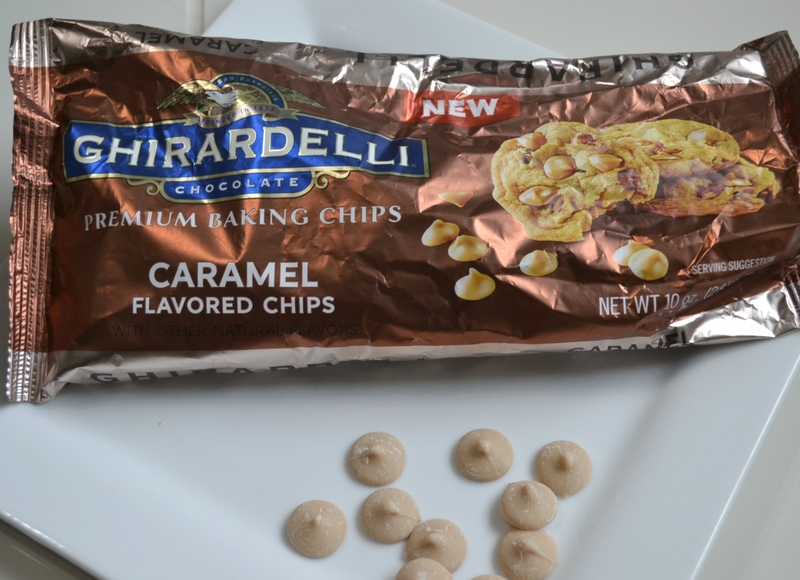 Stir in the caramel chips, chocolate chips, and nuts. Cover and refrigerate dough for 30 to 45 minutes. Using a small scoop, place cookie dough balls onto baking sheets. Bake for about 9-10 minutes until dough is set and edges are light golden brown. Remove from oven and allow to set on pan about 2 minutes. Transfer to a wire rack to cool. I was not compensated in any way for this post. The opinions on the caramel chips and the cookies are 100% mine.